The Sci-Fi Channel announced today that effective this summer it will change its name to the hip, edgy and phonetically identical Syfy. 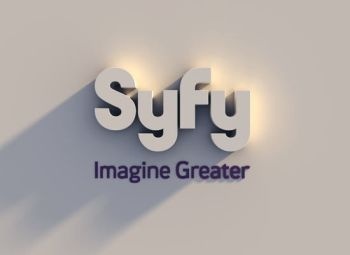 The new name reflects Syfy's broad range of "imagination-based entertainment beyond just the traditional sci-fi genre, including fantasy, supernatural, paranormal, reality, mystery, action and adventure," the network said in a press release presumably written by the same gang of idiots who decided Syfy wouldn't immediately conjure up images of STDs. "It also positions the brand for future growth by creating an ownable trademark that can travel easily with consumers across new media and nonlinear digital platforms, new international channels and extend into new business ventures." "Without abandoning our legacy or our core audience, we needed to cultivate a distinct point of view with a name that we could own that invites more people in and recognizes our broader range of programming with literally something for everyone," said Sci-Fi President Dave Howe, who is apparently not ashamed of himself despite the urging of Sci-Fi website readers. "Syfy allows us to build on our 16-year heritage of success with a new brand built on the power that fuels our genre: the imagination. Syfy ushers in a new era of unlimited imagination, exceptional experiences and greater entertainment that paves the way for us to truly become a global lifestyle brand." The new name will also help facilitate the channel's expansion into other ventures, the company said, like Syfy Games, Syfy Films and Syfy Kids. Syfy will also "meet the needs of a globally relevant, trademarkable brand that stands for something unique in each territory." Along with the name change will come a new brand message, "Imagine Greater," which I imagine won't greatly distract people from wondering what the hell possessed the people at Sci-Fi to come up with this truly awful name. Reaction to the name change on the Sci-Fi website ranges from appalled to horrified and two Polish readers of Warren Ellis' blog have pointed out that "syfy" has a meaning "somewhere between zits, filthy and scum," which most non-Polish speaking observers feel is a remarkably apt translation regardless of whether or not it's actually true. The new brand will launch in July, backed by an "aggressive marketing campaign" which will almost certainly inspire equally aggressive ridicule and disdain among fans of the channel. UPDATE: For what it's worth, the Sci-Fi/Syfy people apparently didn't come up with the name on their own: They paid big piles of money for it instead. It turns out the name was coined by Michael Hinman, who created the name for his science fiction news site when he created it back in 1998. He said he suspected the buyer was Sci-Fi owner NBC Universal but wasn't certain until the name popped up in this rebranding. "The amount was far more substantial than anyone who was simply looking to get into the science-fiction news business would pay, even me. So we knew it was someone extremely well capitalized," Hinman said. The whole story is available at the former SyFy site, now called Airlock Alpha.